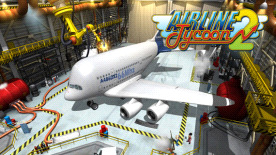 More than a decade after the best-selling Airline Tycoon comes the long awaited sequel to the legendary tongue-in-cheek economic simulation that puts players in the role of CEO of an international airline! your rivals never rest! Crafty opponents are also working to dominate the skies… and they won’t let anything stand in the way of their goals!